Let’s be completely honest: amount of mobile devices are growing up exponentially every year and no one can stop this expansion; even more - Google wants you to become mobile friendly, chastising those companies, who don’t want to adjust their online services for mobile. Custom android app development services or iOS, or even Windows mobile - end-user wants to be more flexible, you should be either. This is all about personal benefits and individual advantages. or create a web application. this article will try to knot out brick by brick pros and cons of the following methods, both native apps and web services, than you can make informed decision which is better. At first - you must know your strong sides, business objectives, audience, offer and more, because decision will vary from this factors. It’s important to develop with this paragraphs in mind ‘cuz things that worked well for someone else's business may not work for your’s. This decision is not about the money - you’ll spend it anyway; in the end - it’ll be investments into the future. Responsive web design (RWD) - website, developed to fit every screen size possible, both on desktop and mobile devices. Using RWD equals easy optimization of your website for users on any type of devices and simple adjustment the content to the screen. But Web app (WA) isn’t just typical news or landing page site (sites, providing some kind of information to an end-user). WA allows subscriber perform different sort of actions in their browsers like keeping notes, writing a blog or make money transfers, etc. WA can be shown just through the web browser. Anyone with Mac, PC or mobile device can access your services. It’s easy and good: have a computer, internet connection and you’re on - ready for action! Google likes it! With RWD you not only can prevent penalties, but make Google love your site. One’s it recommended by Google, it can get all the CEO benefits if you make it well. Few words about CEO advantages: you can boost your visibility (both on mobile and desktop segment), rank higher and lead more traffic - which means additional customers for your company. Disadvantages - it’s slower page load time. For some reasons, WA’s drawback labor under narrow graphical capability and lean device integration. Good navigation and site scrolling on desktop doesn’t mean good user experience on mobile devices due to its size and the way of interaction. Another solution is to make a native app (NA) - application, that users install on their devices (smartphones, tablets, etc.). The end goal the same, to let user to complete definite task. If you’re planning to do things this way, you must know that it requires renewing content, or even create absolutely new. Estimated NA’s price is higher than Wa’s and takes a lot development work that expends more time. Native apps shine on the advantages to access some hardware on the device that a website can’t. Shortly, NAs fully integrated into your mobile device and can use components like camera, NFC, GPS, between many smartphone features that improve user experience. Security. Far better. Today, when cloud services are growing their popularity, more user data is stored and treated by third-party companies. People wants to be protected, because these companies safety can make or destroy your business. With a NA you can improve security level to protect user’s data. Brand perception and approachability. Grow brand’s perception just by promoting the app and growing its user base. With a NA, you can find more audience, promote it in stores or even monetize them with more opportunities than with web site. Application also can boost the accessibility of your company just in the way of interaction: to find information user wanted, he only requires to tap the app icon to view all your services or products. There isn’t many disadvantages, but they make sense. 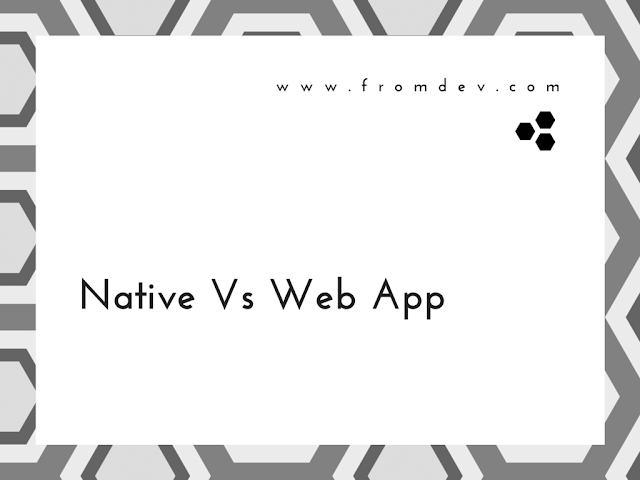 Native apps will cost you money and time. Also, NAs are not portable - if you have make Android app, it will work only for android phones and tablets. You would need another version for other platforms. Main difference - is what you need. Only you can choose which way is perfect for your business based on need and budget. WA are low-priced and fast, NA - powerful but expensive. Each app great in its way and will gain your business in the way that singular app can. Max Hornostaiev, CTO of Erminesoft. Being a CTO of Erminesoft now I always keep in memories my first programming experience at school and university to keep the same devotion. In 2015th it’s my 10th year working in IT – now I’m sure the key for the growth is knowledge sharing. That is why I lead our tech team with this in mind, helping them, giving advice and teaching.